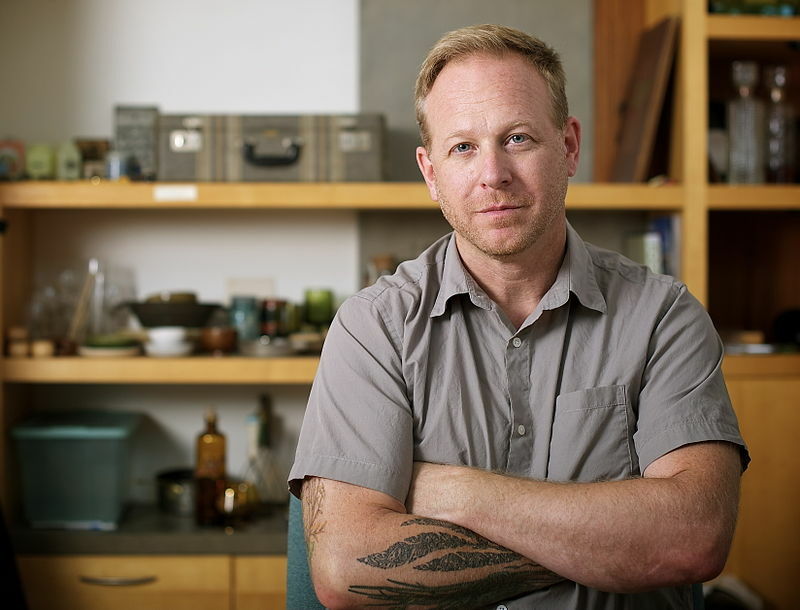 You may have heard of Andy Ricker before. Perhaps it was through his VICE documentary FARANG? Or maybe you’ve seen him featured on Diners, Drive-Ins, and Dives or cruising around Chiang Mai, Thailand with Bourdain on Parts Unknown. Or maybe – more simply – you just know him as “that white guy that makes awesome Thai food” that sits at the helm of the Pok Pok empire. From his traveling the world to falling in love with Northern Thai cuisine, Andy takes us through his journey to starting his successful restaurants that now span both Portland and New York City. And there was probably no more appropriate time to feature Andy on the Pubcast. Right on the heels of the release of his 2nd cookbook The Drinking Food of Thailand, Andy continues to enhance and share his craft and passion for Thai cuisine in its truest form, and this time around, he focuses on the snacky foods that pair well with a night of drinking in Thailand. 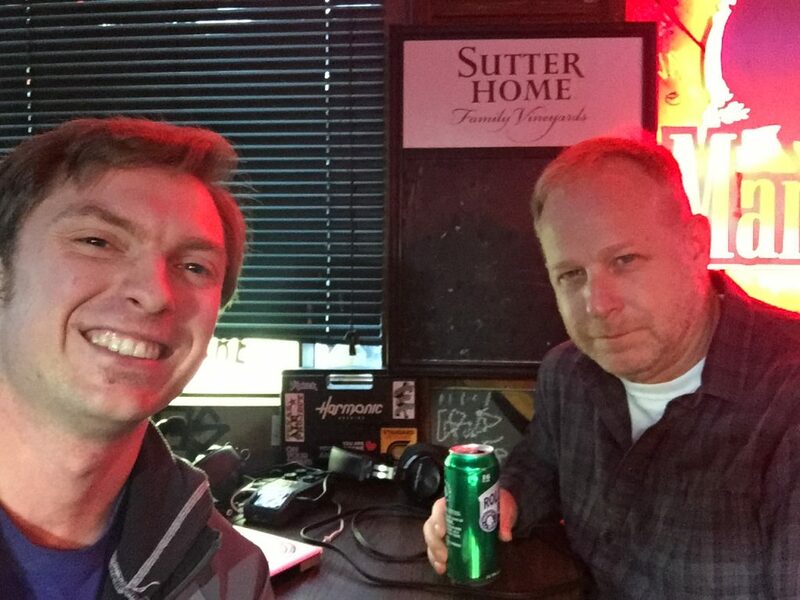 After you listen, make sure to head over to PubcastWorldwide.com to leave a comment and sign-up for the monthly “Brewsletter.” Cheers! Andy picked this location for our interview without hesitation, and I can see why. While seemingly just another Pacific Northwest dive, this hole-in-the-wall is a magical Portland institution. 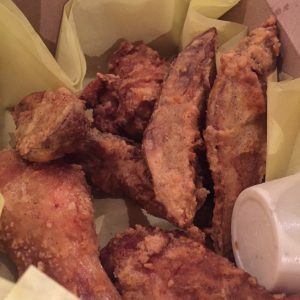 While it’s changed ownership over the years, they have long been known for their famous fried chicken and “jojo’s,” a Portland treat that are essentially just battered-and-deep-fried potato wedges. YUM! 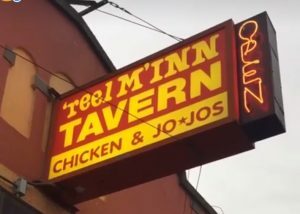 Come for the “Chicken and Jojo’s”…stay for the cheap drinks and pool. Andy gets the conversation started by describing the vibe and history of Reel M Inn as we down Rolling Rocks: a beverage that pays homage to where he grew up on the East Coast. If we were in Thailand though, we’d likely be drinking the local rice whiskey/wine (“Lao Khao”) and lagers. Leading up to Pok Pok, Andy spent his youthful years traveling and working a number of restaurant jobs around the world. His first trips to Thailand in 1987 and 1992 were what got him into Thai cuisine, and he’s been messing around with Thai food now for about 25 years. Thai food is an inherent part of Thai life…and it’s also extremely good. Thai cuisine in the U.S. isn’t “Americanized,” it’s “Thai-ified.” As industrious Thai immigrants opened restaurants in the U.S., they adapted their recipes to fit American tastes. So, as an American jumping into the Thai food game, Andy had the unique opportunity to add more context and description around some of the country’s common dishes that are less common in U.S. Thai restaurants. Andy is extremely passionate about – and some may call it obsessed with – his work. It’s how his brain works. He draws parallels between the detailed process of painting a house and his approach to Thai cooking. We also draw plenty of correlations between music, punk rock, Andy’s culinary craft, and his latest cookbook The Drinking Food of Thailand. In Andy’s 2nd book, he focuses specifically on recipes for foods that pair well with Thailand’s nightlife. Known as “Aahaan Kap Klaem” in Thai and literally/non-coincidentally translated as The Drinking Food of Thailand, these are snacky foods that are chewy, crunchy, spicy, sour, bitter, and really flavorful. As we kick off Round 2, Andy recounts his experiences on Anthony Bourdain’s Parts Unknown and their week filming (not to mention all the weeks prepping) in Chiang Mai, as well as the impact that being featured on Diners, Drive-Ins, and Dives had on his business at Pok Pok. Andy also shares the story of one of his first “non-backpacker” experiences in Thailand: drinking with the locals on a bus while heading across the country for a new pair of contact lenses. Make sure to keep an eye out for a 3rd noodle-centric cookbook coming out in late 2018. In the meantime, go pick up a copy of The Drinking Food of Thailand. 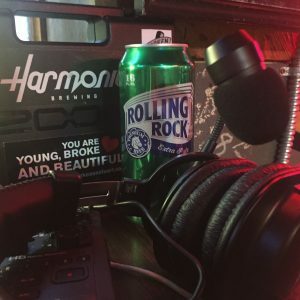 Rolling Rock – We kept it simple in this episode, and that seemed like the perfect fit for a bar like Reel M Inn. Originally from Pennsylvania, this beer is Andy’s go-to, and our tall boys took us through the interview from start to finish. Stumptown Coffee – A Portland coffee institution, Andy gives a shoutout to their original location on Division St. 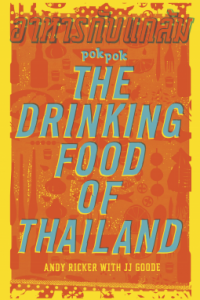 The Drinking Food of Thailand – This is Andy Ricker’s 2nd cookbook, inspired by his restaurant Whiskey Soda Lounge. As the book suggests, this one focuses on recipes for snacky Thai food that’s best enjoyed during a night of drinking. Andy describes this type of food as “chewy, crunchy, salty, spicy, and sour”…I got hungry just hearing this, but the book doesn’t stop with the descriptions. The photography is beautiful and in a noir aesthetic, making it a must for any Thai food aficionado. You can purchase the book on amazon at the link provided. You can follow Andy at @pawkhrua on Instagram and Twitter, and you can do the same with @pokpokpdx on Instagram, Twitter, and Facebook. Reel M Inn is located at 2430 SE Division St, Portland, OR 97202. Bar hours are 10am to 2:30am daily.